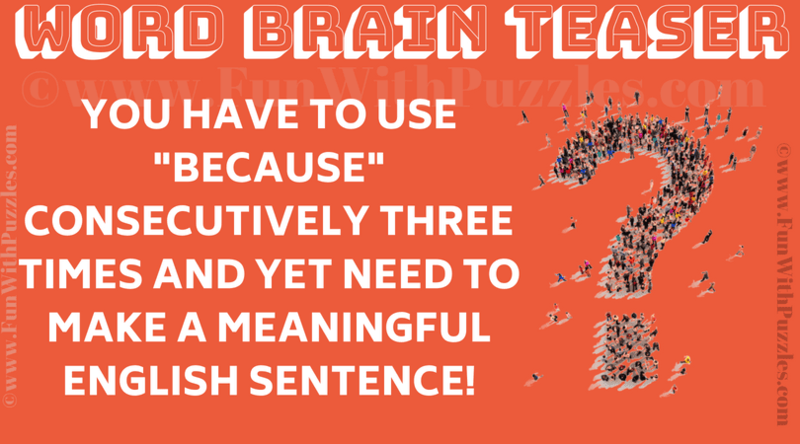 This is Word Brain Teaser to test your knowledge of English. This Puzzle in English will not only test your English Knowledge but also your out of box thinking ability. This is because you have to think laterally to solve this puzzle in English. Do post your answer in the comments section for this puzzle! Lets see if you can solve this Word Brain Teaser? Can you solve this Puzzle in English? Answer of this "Puzzle in English", can be viewed by clicking on button. Please do give your best try before looking at the answer. In Oxford dictionary word "arrow" comes before "because", because "because" begins with "B".